Exclusive! Add a bit of whimsical charm to your wardrobe. 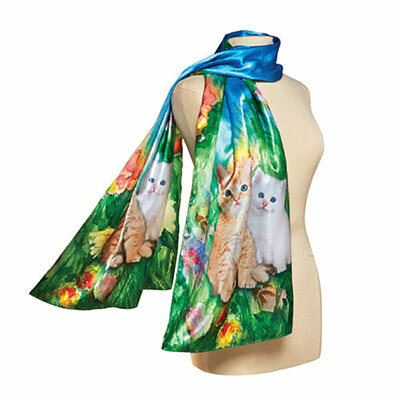 Charming little cats scamper through a floral garden on this photo-realistic printed scarf. Polyester. Imported. Machine wash. 31½" x 59". Hurry! Quantities are limited!